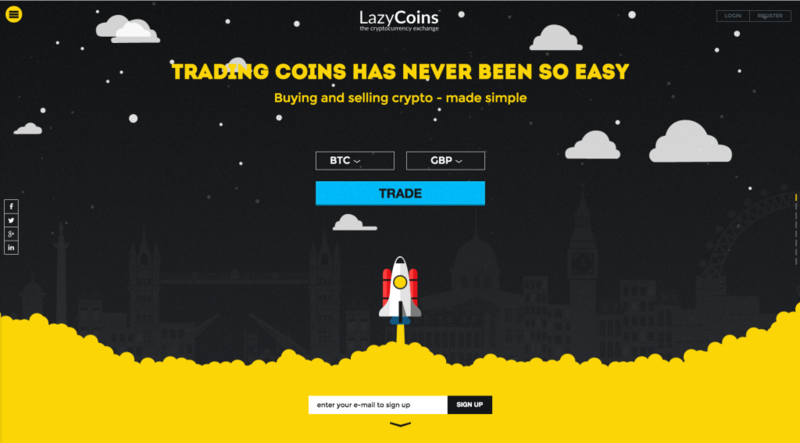 London-based Bitcoin exchange LazyCoins has announced a new partnership with a major financial banking service to provide customers with lightening fast transactions, a step ahead of their ‘Lazy’ name. The new partnership see’s the implementation of a local deposit and withdrawal option for customers based in the United Kingdom and Ireland with a bank in the jurisdiction. The Faster Payments Service (FPS) has long been the envy of banking institutions around the world, payment times between different banks often took days, but with the new banking partnership, in most situations the transaction’s are almost instantaneous opening LazyCoins customers to speedy trading environment no other exchange can currently provide. Current FIAT deposit and withdrawal methods on other exchanges can take days and even weeks with high fees. “Depositing £100 into Kraken cost me £35 in banking fee’s, the new announcement from LazyCoins would make this free to deposit £100 into the platform wallet and would take minutes” said Mark Hulme, a local Bitcoin trader in London. LazyCoin’s banking announcement is notable because bitcoin startups in the UK are currently forced to bank elsewhere in the EU such as Poland and Latvia. This is due to the fact that financial institutions are reluctant to get involved due to their perceived high-risk factor and bureaucracy. LazyCoins is doing the impossible so to speak, going where other Bitcoin exchanges such as CoinFloor and Safello have failed by providing the FPS service. With the UK government slow to provide a solid compliance or regulation protocol for exchanges, LazyCoins has taken this into their own hands and is fully regulated and licensed as a Money Business License (MSB) which would currently cover them for operations under current legislation. Although recently Britain took a significant step towards becoming a global bitcoin hub on Wednesday as the government announced it would regulate digital currencies for the first time by applying anti-money laundering rules to exchanges. “In a further boost to its credibility, the company has secured its Money Business License (MSB) from Her Majesty’s Revenue and Customs (HMRC). Now a fully licensed bureau de change for GBP and Euro markets, LazyCoins users can now enjoy faster payments and same day deposits. Their European customers, the Brits in particular, are likely to find this interesting as it makes it easier for them to buy, trade and spend their bitcoins in the UK. “In the coming months, we’re also launching LazyPay, an application that makes it easy for merchants to accept payments in Bitcoin, while dramatically reducing their cost of doing business. With a number of London merchants already signed up, we’re going on a mission to spread the word and make bitcoin part of everyday life,” Said Danial Daychopandan, CEO and founder of LazyCoins. Another recent exchange which looked promising after announcing Faster Payments Service integration was “Mimex”, but a worrying blog post on the company’s website cited liquidity problems and the website is currently down. The founder failed to respond for comment. 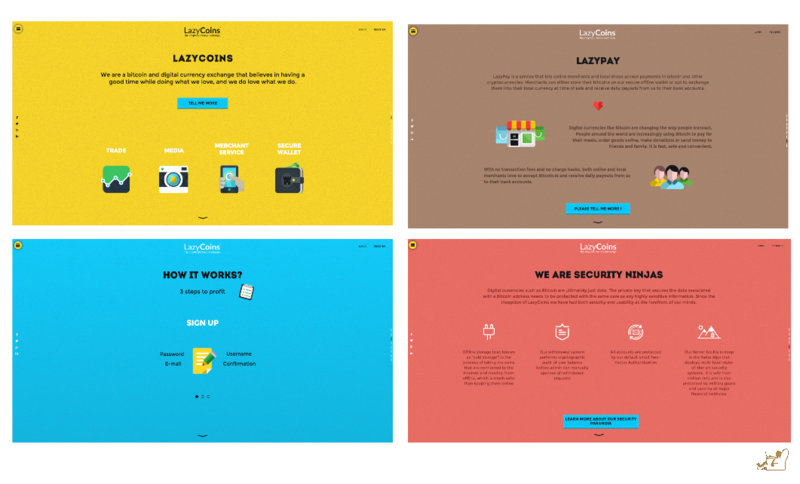 We caught up with LazyCoins founder and CEO, Danial Daychopandan. 1) You have the backing of a financial partner for ‘Faster Payments’ can you reveal who you are working with? – Given this point has been a little contentious for other firms, we would prefer not to disclose this information, at this time. While we have, of course, presented ourselves transparently to our business partners, we would not like to get drawn into “If LazyCoins, then why not us?” debate. However its not a secret, our banking details are available to our verified users. 2) How do you plan to keep ahead of competion, such as UK exchange CoinFloor who have been a main exchange in the UK? – First of all, we welcome all Bitcoin businesses. The more entrepreneurs and companies that help drive wider adoption of digital currencies the better it is for all in our industry. And our brand and company ethos is all about making bitcoin a part of everyday life. So we see ourselves as a bitcoin portal, rather than just an exchange. Besides, we believe focusing on solving our customers’ problems and creating valuable services is way more important than staring at the competition. 3) Many exchanges in the UK have had the backing of a bank, but were shutdown, do you have an agreement? are you concerned this will happen to LazyCoins? – We’re a licensed Bureau de Change and practice strict Know Your Customer (KYC) and Anti-money Laundering (AML) requirements – even though it’s not yet a UK law for bitcoin companies. We also have fiat-to-fiat markets for forex traders. Our banking partners understand our model and have given us their support. This is a rare position to be in. 4) With the ‘Faster Payments’ option for customers to deposit, is this just open to just UK customers or does it expand to European banks? Now a fully licensed Bureau de Change for GBP and Euro markets, LazyCoins users can now enjoy faster payments and same day deposits. Brits in particular, will find this attractive as it makes it easier for them to buy, trade and spend their bitcoins in the UK. Our European customers can use Sofort or SEPA transfers, which are not instant but usually credited within 24 hours.